In the aftermath of the Kim Kardashian's Paper Magazine photos that (metaphorically, if not literally) broke the Internet earlier this week, Lorde retweeted the cover, along with the word “mom,” which—in Internet-speak—is a term of admiration and support (“be my mom / you are a spiritual ‘mom’ to me,” basically). But, Perez Hilton and others took her tweet as some kind of “how could a mother be doing this? 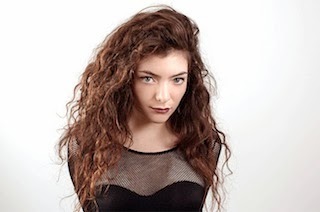 !” admonishment, so Lorde decided to explain her feelings in a delightful Tumblr post, published late Thursday night.